Meet Lilly. Named for the floral motif along the apron, the Lilly Demilune and Lilly Console feature Swedish Gustavian style carvings and a multi-layered finish with warm white tones and light distressing. These pieces were designed with our more traditional customer in mind, but mix easily with more transitional or modern elements. 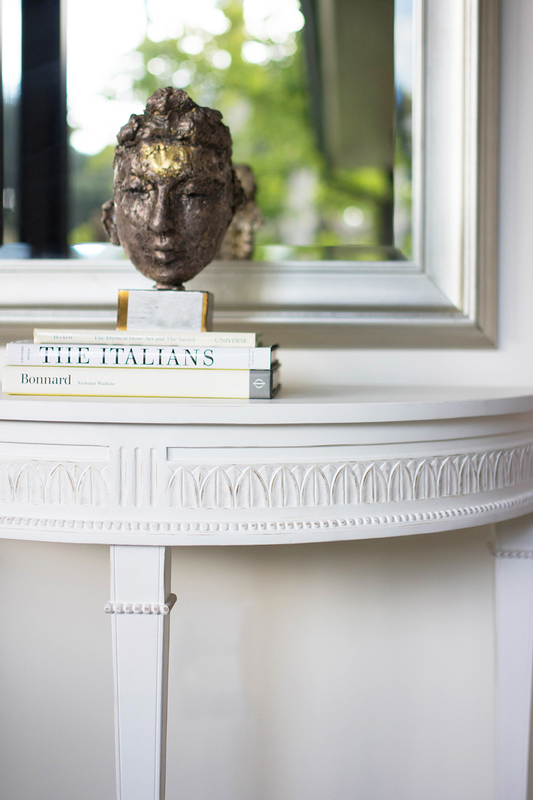 Available as both a demilune and console table, Lilly serves as an alternative to our other Swedish style pieces, including our popular Aria and Liam Collections. The Lilly Demilune is available and ready to ship now, and we are accepting pre-orders for the Lilly Console, which will arrive early March. Let us know what you think in the comments below, and if there are any other Lilly style pieces you want to see in the future! Meet Liam. The clean-lined cousin to our Aria Collection, these Swedish Gustavian style pieces feature a white stained finish giving them a more contemporary feel than our more traditional, painted Swedish designs. An end table and three-drawer dresser will be available in August, followed by a collection of bedroom pieces this winter. Available now for pre-order. Email info@avehome.com to reserve yours! Summer is here, which means new products! We've been busy designing lots of new pieces, and we can't wait to show them to you. We're expanding on existing collections with additional color and size options, and we also have some totally new products that we think you're going to love. We'll be posting more about individual pieces over the next few weeks, so check back here for updates or follow along on Instagram for all of the latest news. In the meantime, take a look at what's coming up and let us know what you think! New items will be in stock at the end of the summer (mid-August), but they are available now for pre-order. 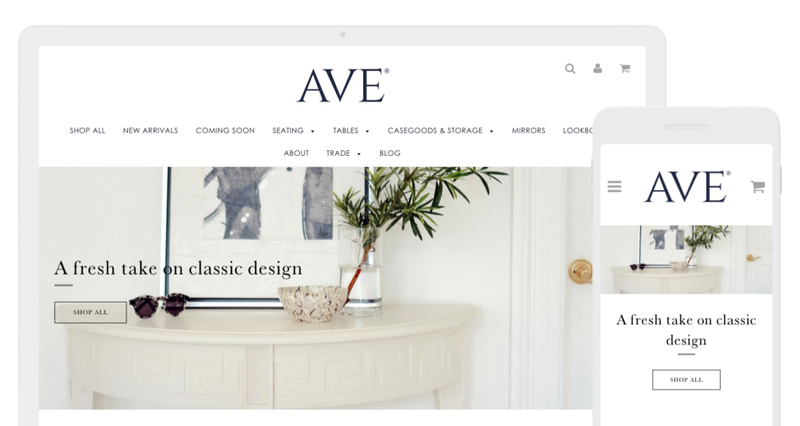 Email info@avehome.com to reserve yours today! Made popular in the 1920s, burl wood is beloved for its one of a kind, abstract pattern. This rare type of wood is the result of abnormal tree growth that results in a twisted and interlocked grain. 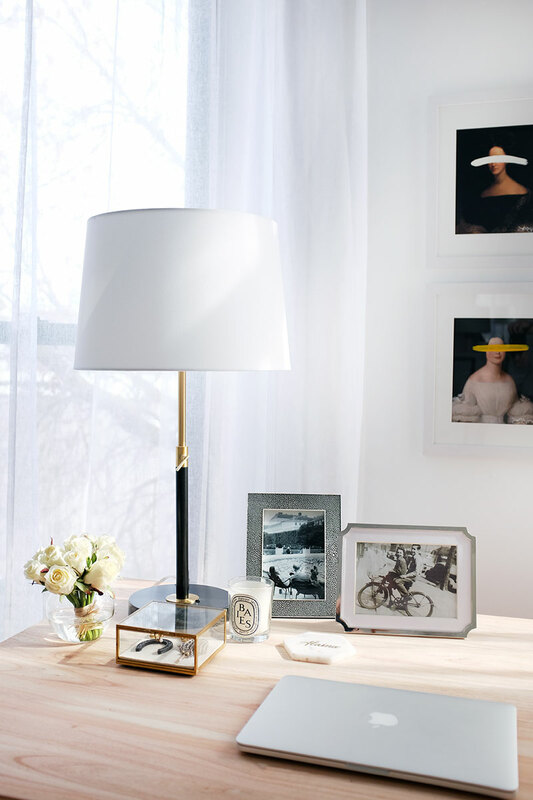 Burl wood furniture and accessories is a beautiful way to add warmth to a space and bring a little bit of nature indoors while keeping things chic and polished. 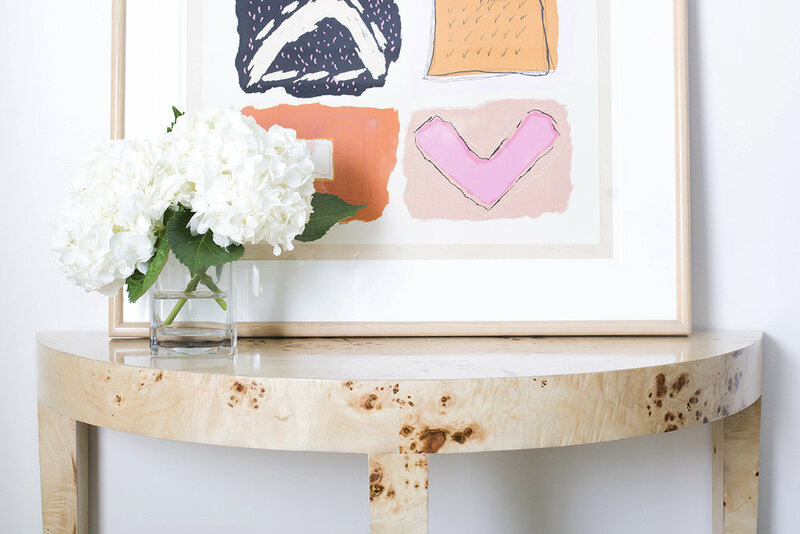 Last year we introduced our first burl pieces with our Chloé Burl Console and Pedestal. The response was so overwhelming that we immediately began development of additional burl wood pieces, and now are excited to share them with you! 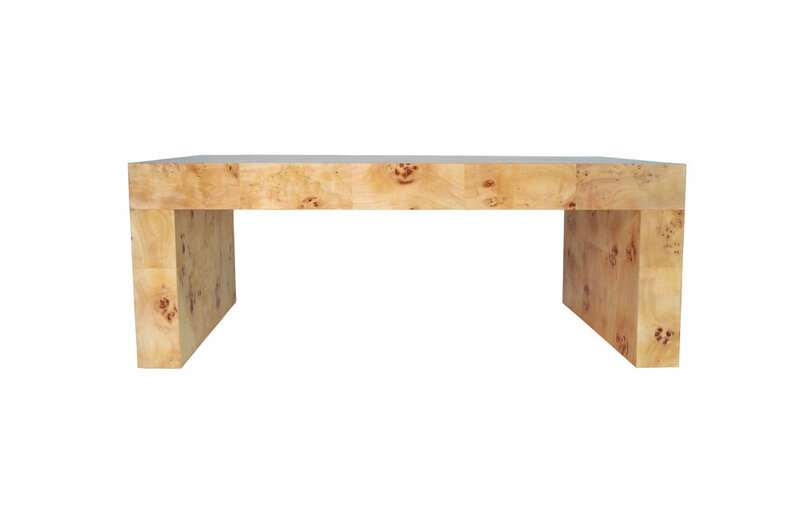 We are pleased to introduce the Chloé Burl End Table and Coffee Table. These sleek, waterfall style pieces make a statement while working seamlessly with different styles and finishes. Both pieces are now in stock and available for order. Shop the pieces below! We're excited to introduce the newest addition to our Carlyle Collection, the Carlyle End Table! Available in a warm grey and a rich ebony, this sleek end table features modern brass hardware and clean lines. A sliding drawer and lower shelf offer plenty of storage. Our first shipment is arriving next week but is available now for pre-order! Product details are available here. Visit our Locations Page to find a dealer near you.